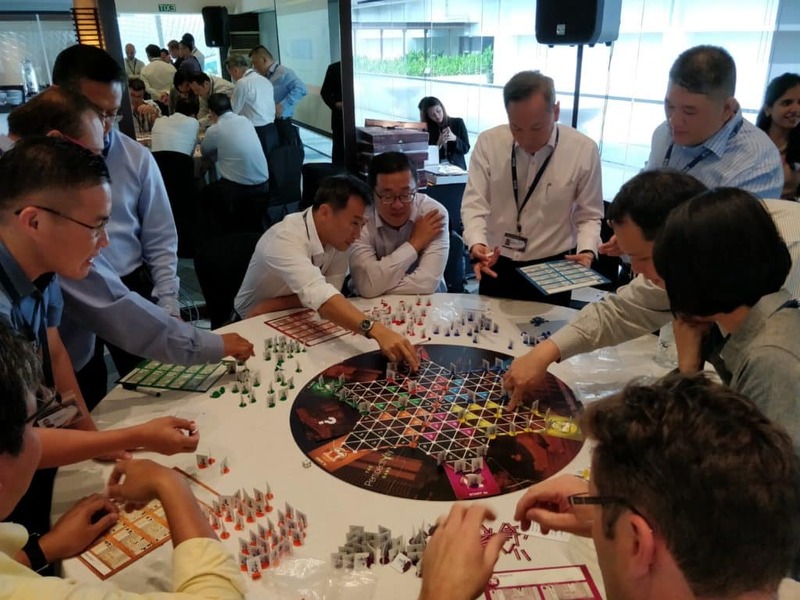 With Boundaries of National Security as the theme for the 12th Asia-Pacific Programme for Senior National Security Officers (APPSNO), Perspectivity’s custom made National Security Edition of the Game was a perfect addition to the conference’s agenda. Michiel flew in from Netherlands, while Anubhav flew in from India. 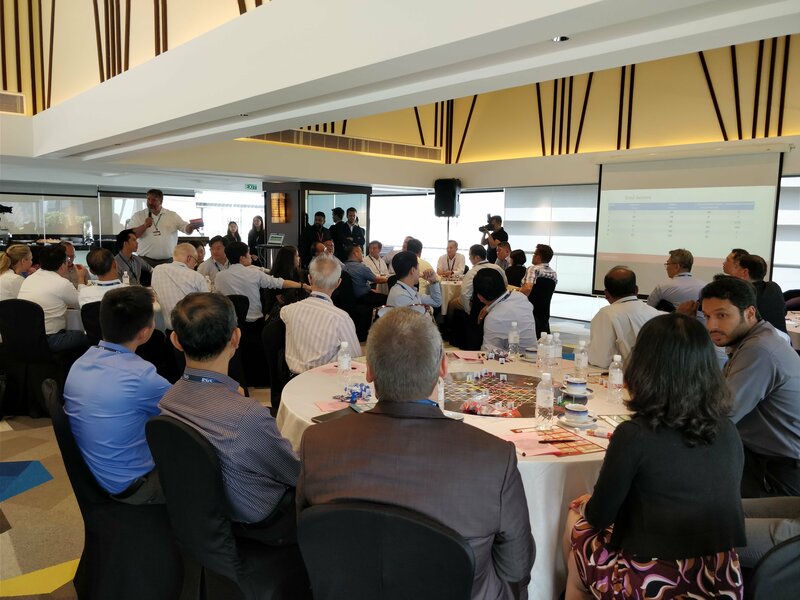 A thorough refresher session for the internal facilitators from RSIS (S. Rajaratnam School of International Studies) led by Michiel prepared all the facilitators for the session day. 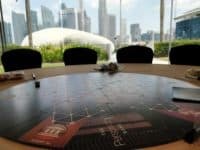 Additionally, having a past Perspectivity game facilitator as this year’s organiser definitely worked in our favour in terms of efficient venue and personnel management. The session was a great success with a large variety of scores and a lively discussion during the debrief. 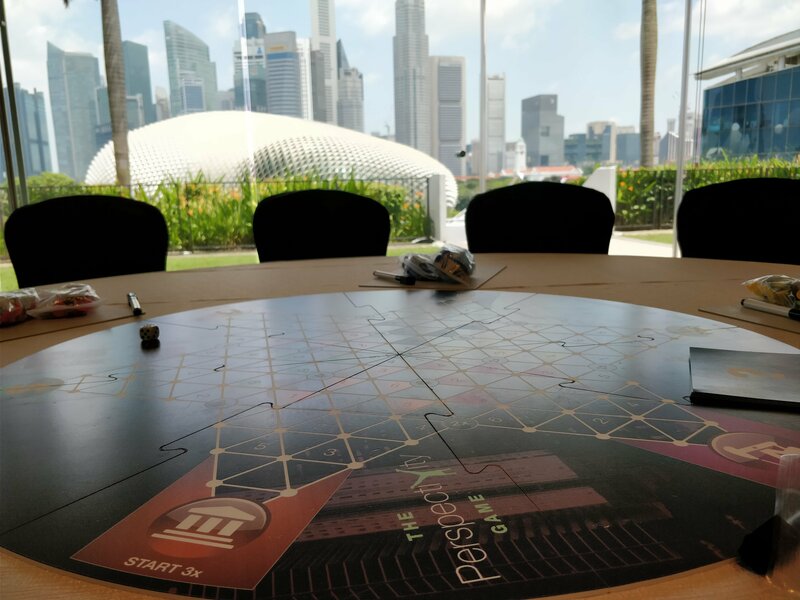 With 2 facilitators on each of the 6 game boards, over 75 participants were engaged in the true spirit of the Perspectivity’s simulated security dynamics. Initially, some participants questioned the logic behind the security and economic disasters and called it out as a random event. But the dialogue at the table exchange helped put their qualms to rest. While the debrief delivered by Michiel garnered new insights into the game mechanics, the similarities between the game elements and the real life issues around homeland security, terrorism containment and the role of Government were apparent.